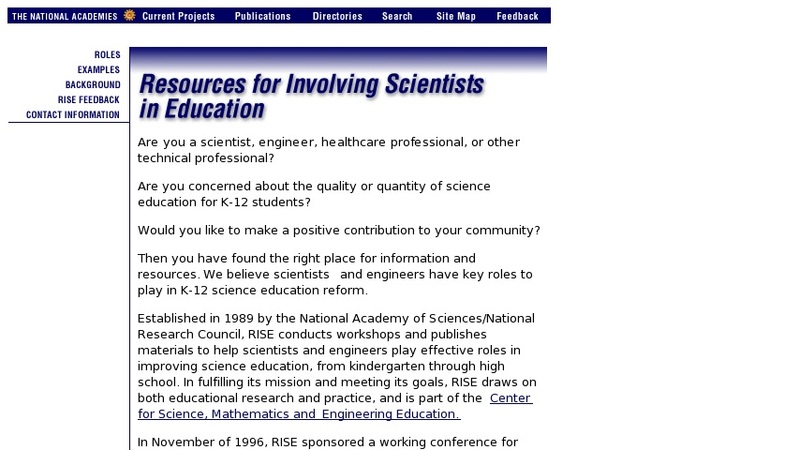 Established in 1989 by the National Academy of Sciences/National Research Council, RISE conducts workshops and publishes materials to help scientists and engineers play effective roles in improving science education, from kindergarten through high school. Site provides information to help potential volunteers determine how they can best make a positive contribution to their local schools and community. Background information and project examples are provided.